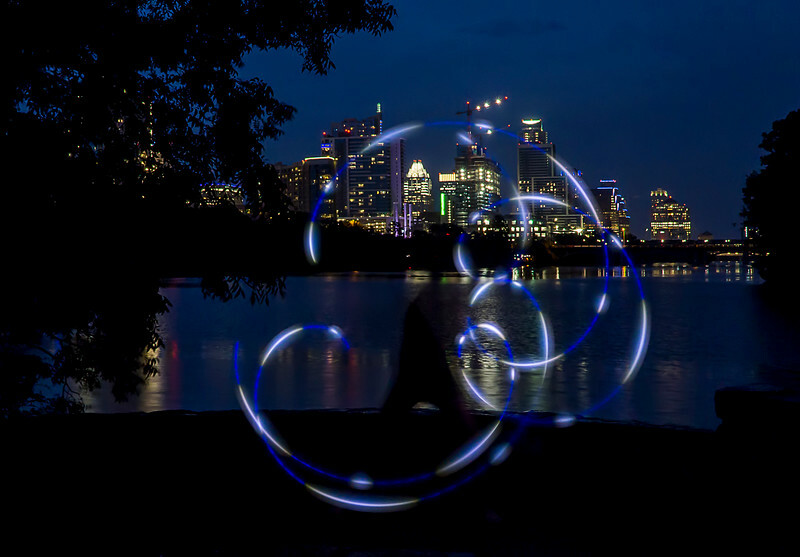 Near Zilker Park in Austin, Texas, I ran into Jason who was preparing a fire-spinning routine. What a great talent and so fun to watch! He warmed up with digital LED poi balls, then did the main act with naphtha treated cloth on chains.